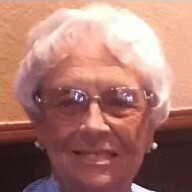 Maxine Shafer, 83, of Chattanooga, passed away on Wednesday, March 21, 2018. She was in the class of 1953 at Soddy-Daisy High School where she was a cheerleader. Maxine was preceded in death by her husband, Thomas Leon Shafer; father, Roy Benton and brother, Herman Benton. Survivors are her children, Pamela Shafer Pigg and husband, George H. Pigg, Jr. and Sandi Shafer Henon; son, Martin Scott Shafer and wife, Jody Shafer; mother, Verna Loftis Benton; sister, Henrietta Lovelady; brothers, Robert Benton and Jerome Benton; grandchildren, James Matthew Pigg, Kiley Crawford, Savannah Ward and husband, Spencer Ward; great grandchildren, Tucker James Pigg, Weston George Pigg, John Zachary Pigg and wife, Dr. Camden Morganate Pigg, Caroline Grace Ward, Tori Lozano and husband, Adam Lozano and Hunter Henon. The family will receive friends on Saturday, March 24, 2018 from 2:00 p.m. to 4:00 p.m. at the funeral home.